The Louisville Leopards Girls Varsity Basketball Team fell to the visiting Lake Blue Streaks 55-39 in their home opener Saturday at Louisville High School. With the loss, Louisville falls to an even 2-2 on the young season. Kayla Gibson scored a team-high 13 points and finished with 4 steals to lead the Lady Leopards. Erin Hahn also scored 8 points and recorded a game-high 6 steals. Both Paige Cole and Maggie Galentine scored 7 points each and Sherilynn Mullett finished with a team leading 7 boards. The Blue Streaks were led by Mackenzie Hance who registered a double double with a game-high 17 points and 10 rebounds. Abbigail Stephens also poured in 15 and Jessica LeBeau broke double digits with 11 points and a game leading 6 assists. Lake nearly doubled up Louisville on the glass 27-14. Durlund had 6 rebounds and Kirvan finished with 5 boards for the Blue Streaks. Lake also held a 57% (19 of 33) to 29% (14 of 48) advantage shooting from the floor. 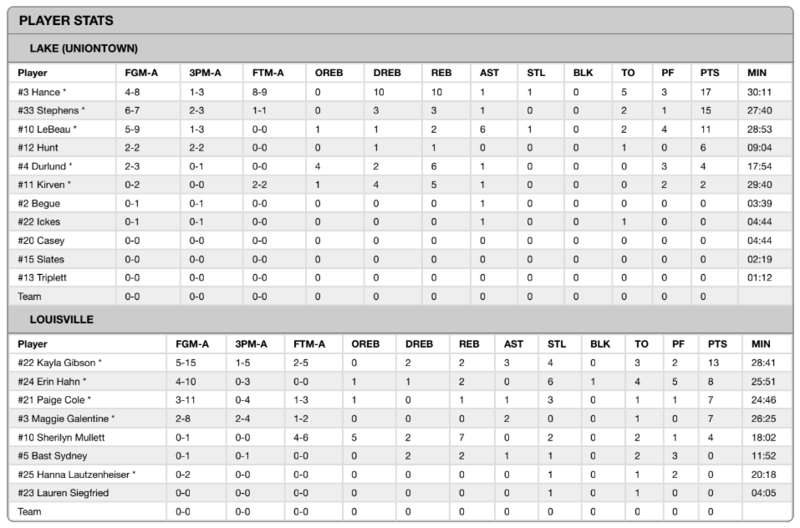 They also hit 6 of 14 three-point attempts (42%) and made a deadly 11 of 12 (91%) free throw attempts. The Blue Streaks have now taken 2 of the last 3 meetings with the Leopards. 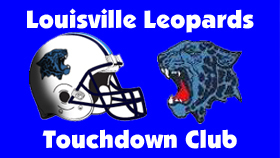 Louisville still leads the all-time series 25-19, which includes a 13-7 mark in games played at LHS. UP NEXT: The Lady Leopards will next host the Perry Panthers on Wednesday, December 5. JV will begin at 6:00 PM and Varsity will follow around 7:30 PM. BLUE STREAKS:Ickes 8 1-1 18, Casey 3 2-2 8, Baker 3 0-0 7, Slates 2 1-2 5, Begue 1 0-0 2, Collins 1 0-2 2, Riggs 1 0-0 2, Tobin 1 0-0 2. TOTAL 20 4-7 46. LEOPARDS: Adelman 3 13-15 19, Loy 4 9-11 18, Leghart 2 2-4 6, Ralston 1 2-3 5, Joseph 2 0-0 4, Siegfried 1 0-0 3, Dyer 1 0-3 2, Thorne 0 0-1 0. TOTAL 14 26-37 57.